When Paul turned a year older a month ago, I decided to do away with the usual fancy dinner date and to just chill and enjoy some good food. After all, 'Mr Hardworking' decided to still go in and work on his birthday so knowing how he just likes to keep things simple and casual, I took him to Hombre Cantina for an all-authentic Mexican fare to unwind. I've been wanting to check out Hombre Cantina after getting raves from friends saying they have really good Mexican food. Good thing though, it's part of The Entertainer App's line up making it even more enticing for us to try. 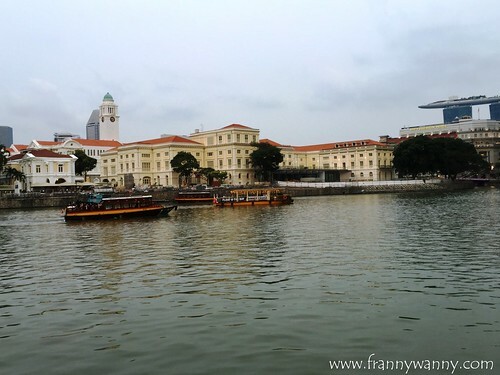 So there we were an hour and a half before dinner time enjoying the view of the beautiful Singapore River. Admittedly though, service at Hombre Cantina wasn't really that great except for just one young Pinay lady server who was quick to attend to our needs. The other two had "No" as their favorite word. Take our drinks for instance, we were just given these bottles at first and when we asked for some beer glasses, it took our server forever to bring them over. I even had to carry our empty water glasses inside for them to refill it for us. Anyway, we're not really the kind who would let bad service rain on our parade so we continued on. After all, it was Paul's birthday and we're in such a happy, celebratory mood! 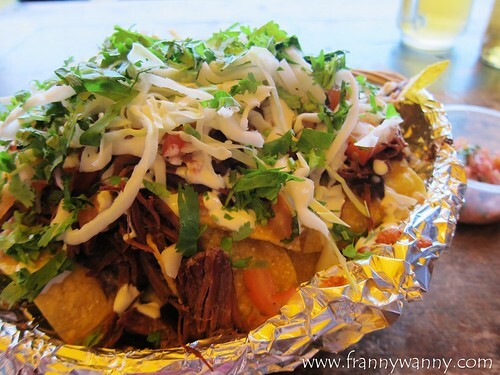 While enjoying our beer, we ordered a basket of Nachos (S$15) with Braised Beef Brisket. We were so surprised by the size of the nachos! It was HUGE! I love how it was fully loaded with beans, cheese, salsa, sour cream and cilantro. So yummy! The chips had a slight salty kick and it has stayed crisp all throughout. This alone filled us up already that we decided to just split our mains instead. 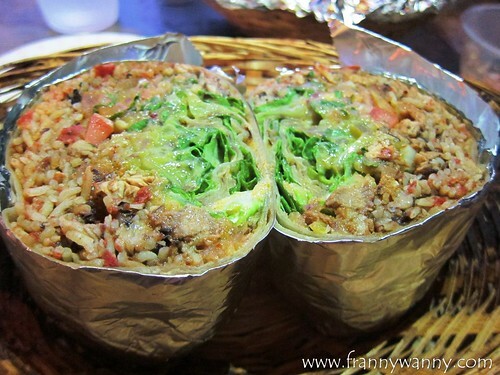 For our mains, we shared one huge Burrito with Roasted Pork Shoulder (S$15). Serving was very generous however the only drawback was that the server failed to inform us that the pork itself was very spicy and no amount of water/milk/cream can remedy this. This again showed how poor their service was as they actually had the chance to offer to replace the burrito given that the customer wasn't informed about its spice level but they just stood there without a single apology when we raised our concern. Taste-wise it was really good but it's just a waste that the spiciness has become a big hindrance for us to enjoy it. To be honest, the service was probably one of the worst that I've ever experienced here in the Lion City. Luckily for Hombre Cantina though, the food was really good that it's the only reason why Paul and I are still willing to go back for more. 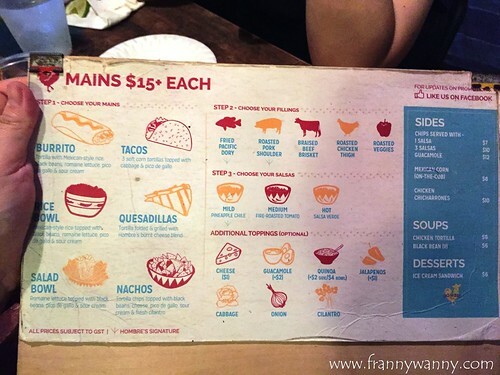 Wish they'd still shape up though as competition in the food industry is extremely fierce and any other Mexican place can easily beat them with good food, reasonable price and excellent service. 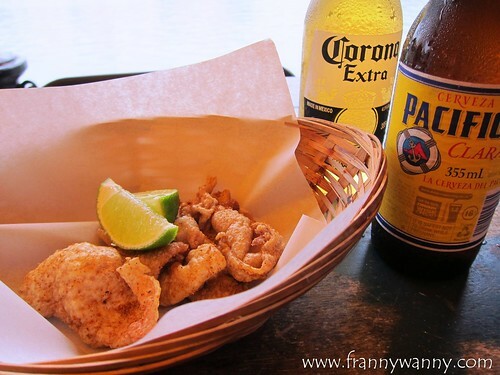 Hombre Cantina is located at 53 Boat Quay, Singapore 049842.